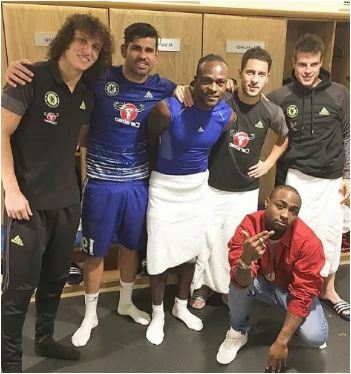 Nigerian music star, David Adedeji Adeleke, popularly known as Davido, has revealed what Super Eagles player, Victor Moses, told the rest of Chelsea players about him. Davido said he met Moses in London after watching the Premier League meeting between Chelsea and Tottenham Hotspur at Stamford Bridge on November 26, 2016. 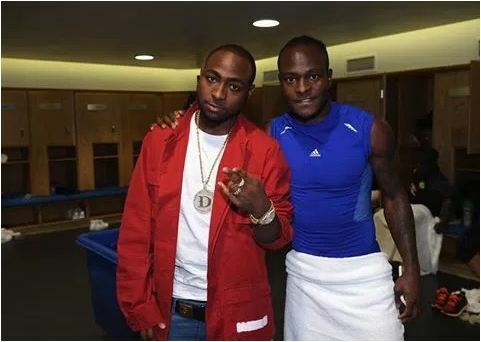 Davido told Goal, ”I went to the Chelsea game, that was amazing, Victor Moses took me into the locker room and I met all the players, It was amazing. On the chances of the Super Eagles at the World Cup, Davido added, ”I mean that’s my country and I’m behind Nigeria 100% so I’d say we could go all the way.